By Mustaza Mustafa in Photography. Updated on November 13, 2017 . Photographers will have to use external help when it comes to adding effects to their shots. Fortunately, there are many photo effects software for your computer available in the market, and pro users will usually use Photoshop given its advance editing options. 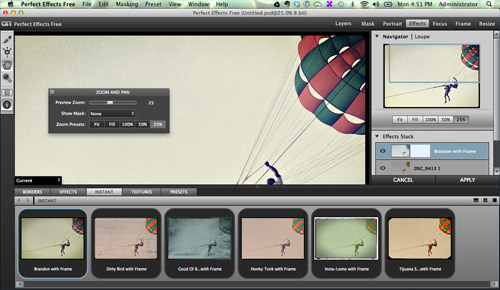 Non-experienced users will have to settle for photo editing software like Perfect Effects. It’s easy to use and is available in paid and free versions. It’s also good enough to help you add and edit professional photo effects. 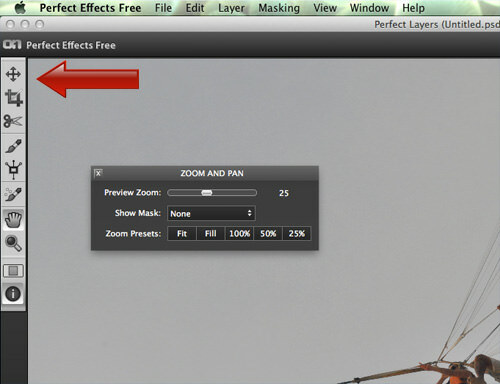 To add instant effects to your photos, go to the Perfect Effects download page and click on the Download button. Fill up your details and hit Submit. 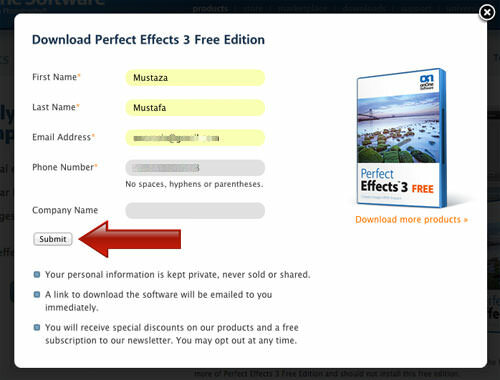 Perfect Effects will send you download link, click on the link to proceed. After download is complete, unzip the download package and launch the installer. 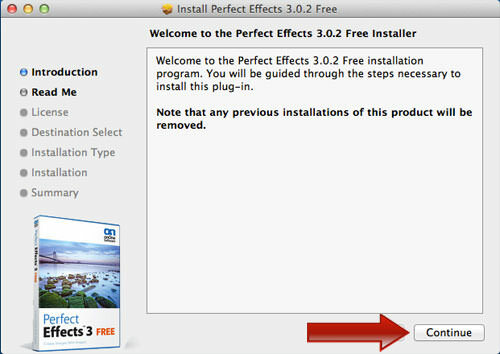 Hit the Continue button and follow the instructions to complete the installation. Now when installation is complete, launch the software from your computer. You will be welcomed with quick instructions on how to get around with the software. 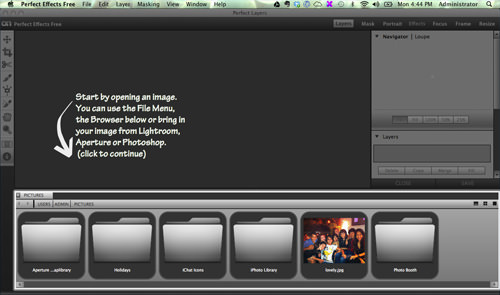 Hit the folder section at the bottom to retrieve your photo collections to start editing. When the folder is selected, you will see all your photo collections in the selected folder, now select which photo you want to add effects to. 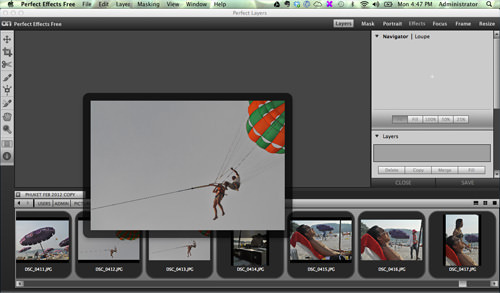 On the left-hand side, you will see mouse control, select the tools relevant to start moving photos around the screen, crop, cut, paint or more. 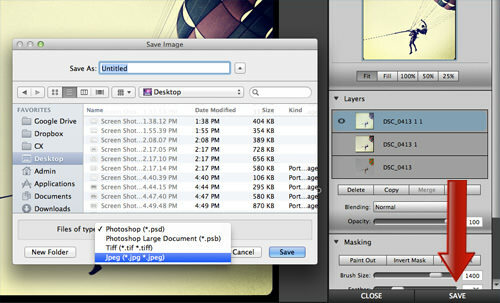 On the right, you will see a panel with navigator, zoom selection, layers and masking options. When you make any changes to your photo, you will see the changes in layers. 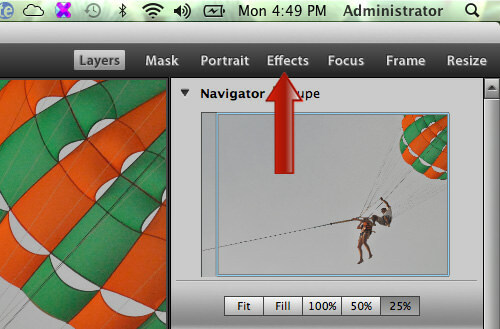 Now to start adding effects to your photos, click on the Effects menu at the top right corner of the screen. The Effects panel will appear at the bottom of the page. 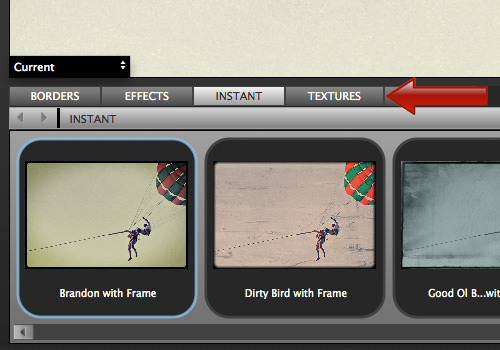 There are four category selections from boarders, effects, instant and texture effects. To apply the effect you want, double-click from the selection panel. When you are satisfied with your final effect, hit the save button to save your photo, and select to save the photo in PSD, TIFF, PSB or JPG format. Photo Effects offers limited effect selections with this free version, but the result is pretty cool still. 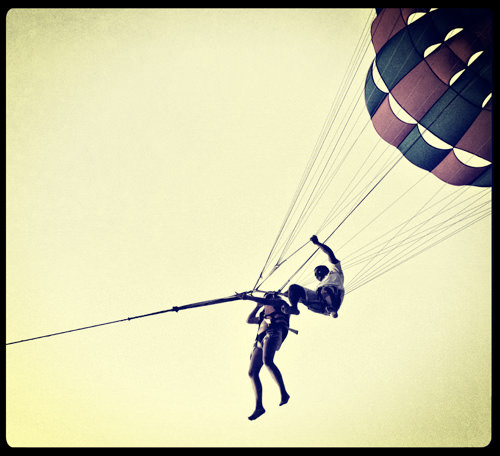 With this software, you have the options to get more photo effects to add impact to your photos. If you would like more options, you can always opt for the pro version. 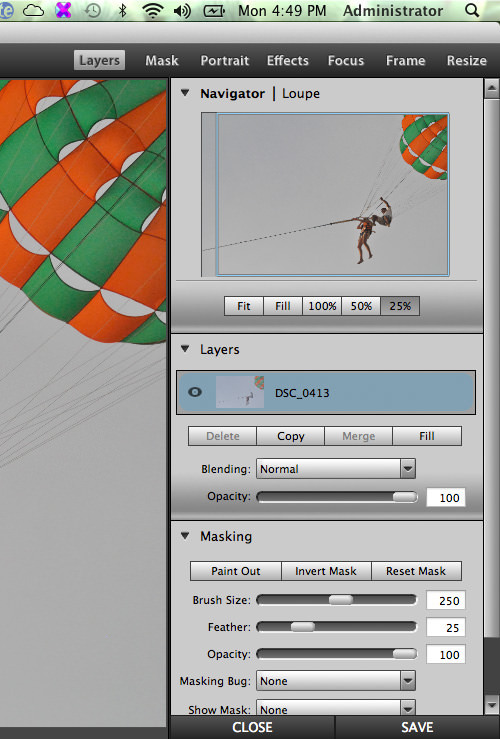 What photo editing software have you been using apart from Photoshop? Share with us your favorites!